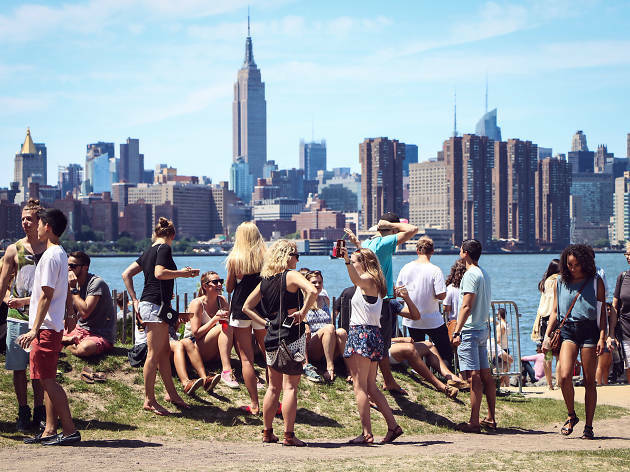 New Yorkers love eating outside, whether it’s at one of the city’s best outdoor brunch spots, elevated rooftop bars or open-air food flea markets like Brooklyn’s famed Smorgasburg. A favorite amongst locals and tourists alike, Smorg features nearly 100 vendors selling seriously delicious and graciously cheap snacks. This is your handy guide to everything Smorgasburg 2019 has to offer. 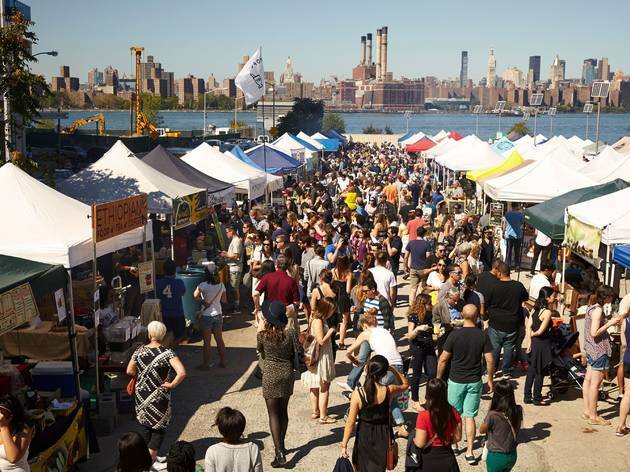 Smorgasburg is an annual food flea market put on by Brooklyn Flea founders Eric Demby and Jonathan Butler featuring up to 100 vendors in various locations in Brooklyn and Manhattan. 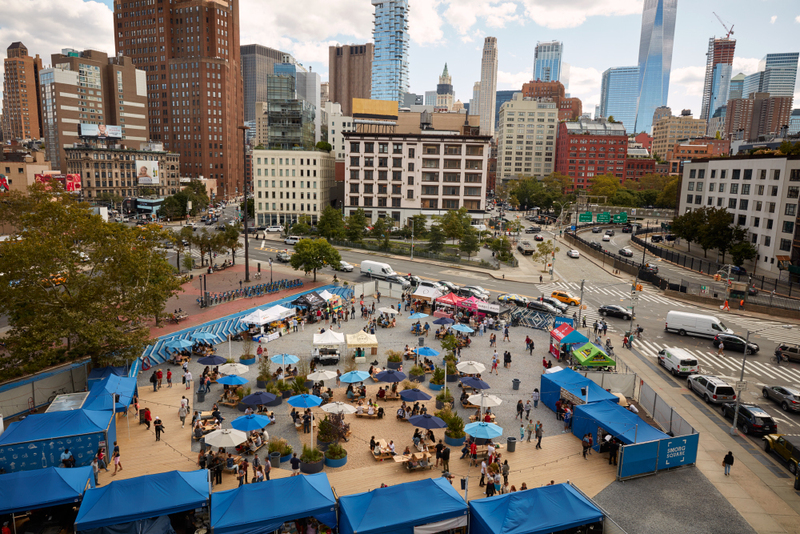 Smorgasburg is every Saturday and Sunday from 11am–6pm from April through November, rain or shine. And on Fridays, from 11:30am - 7pm. 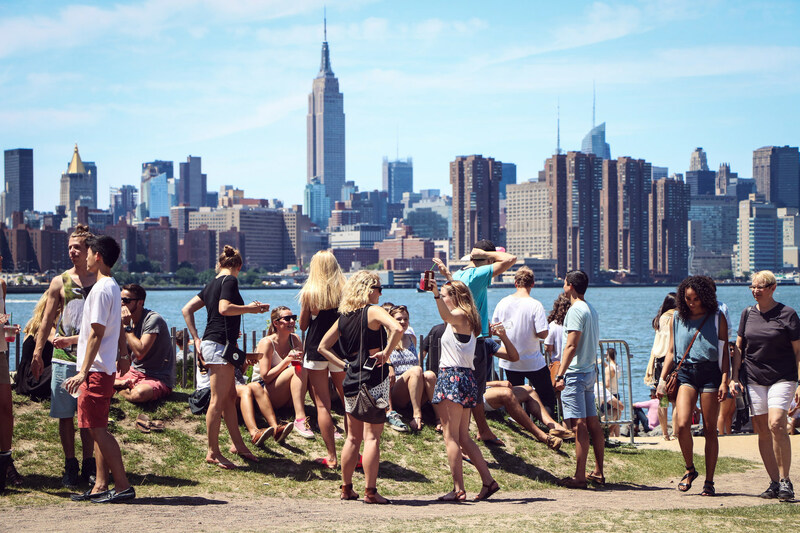 Smorgasburg is at Williamsburg’s East River Park (Kent Ave and North 7th Street) on Saturdays and at Prospect Park’s Breeze Hill on Sundays. And, starting April 12th, every friday there will be a 25-vendor food fair held near the Oculus at the Westfield World Trade in FiDi. 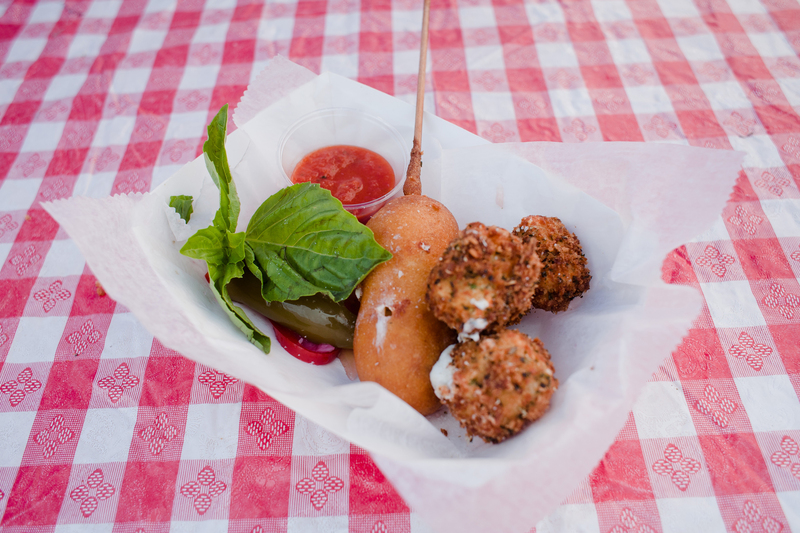 Smorgasburg fans, rejoice! Thanks to campsite tech startup Tentrr, the open-air grub hub will remain open through the holiday season. The new-ish Smorgasburg outpost—dubbed Smorg Square—is located at the intersection of Varick and Canal Streets, and currently offers 20 vendors, a full bar and various picnic tables for folks who enjoy dining alfresco. RECOMMENDED: Full guide to Smorgasburg And since Tentrr is providing the market with five spacious warming tents come October 20, you can continue to grab a bite outside without getting frostbite! In one of the five tents, the camping brand will also host a different giveaway per week, so show up to win prizes such as pins, beanies, holiday cards or your own camping trip. Your favorite vendors (i.e. Ramen Burger, Goa Taco, Destination Dumpling and so on) will be there on Fridays and Saturdays from 11am–8pm and Sundays from 11am–7pm through the new year. Don't forget to carve out time to check out Brooklyn Flea across the street (Avenue of Americas) and peep at the flea's holiday market offerings, too. Sign up to receive great Time Out deals in your inbox each day. Everyone laments that Brooklyn is turning into Manhattan, well now it's boomeranging back. The founders of the Smorgasburg have added an outpost to 76 Varick St in west Soho, right across the street from the newly-opened Brooklyn Flea. At the new Smorg, Manhattanites can enjoy prime outdoor dining, planting themselves on one of the dozens of picnic tables under string lighting while munching on meals from more than 20 vendors, including Smorgasburg favorites Ramen Burger and Destination Dumplings, and newbies like Dan and John’s Wings and Rai Rai Ken's Yakisoba NYC. The market will continue through the end of the year, with Brooklyn Flea turning into an indoor holiday market. 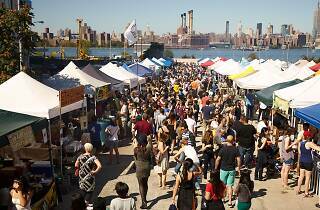 Smorgasburg isn't ready to give up on Manhattan just yet. 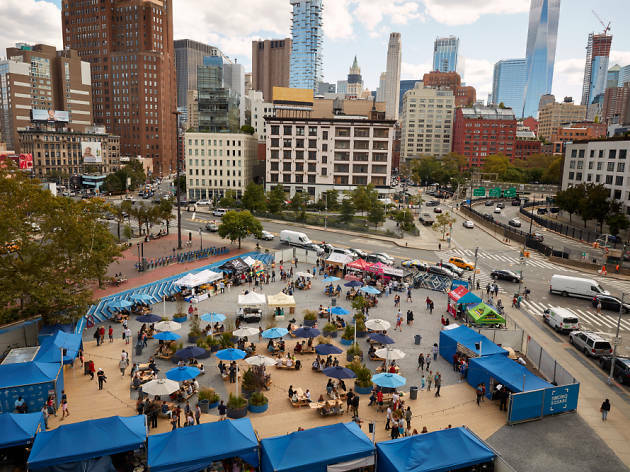 After announcing it would not be bringing back its South Street Seaport location this summer, the founders of the Brooklyn-based food fest announced that they'll be moving uptown to West Soho. 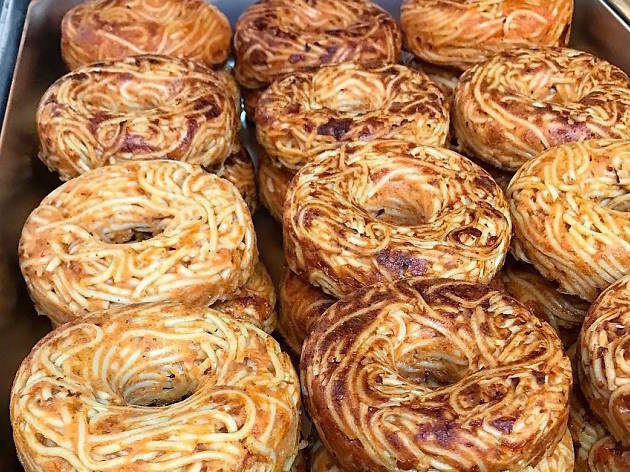 This August, Manhattanites can expect a hybrid of the Brooklyn Flea and Smorgasburg, with four to six food vendors on the weekdays, and up to 40 on weekends. They'll also be building a physical market structure on the site so the festival can continue indoors during the winter months. The venue will be open daily from 11am to 9pm at 76 Varick Street. 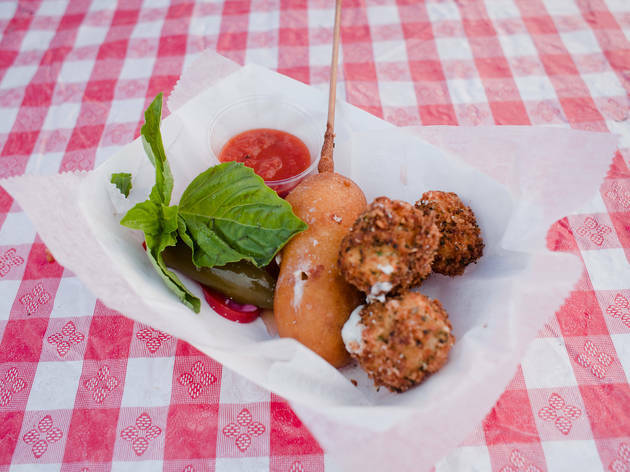 Smorgasburg, Instagram's favorite food festival, has made its grand return to the outdoors, and the food is pretty bomb. The 100-vendor market is held in Williamsburg (East River State Park) on Saturdays and then moves to Prospect Park (Breeze Hill) on Sundays. Now on to the food. Here are the new eats that we’re chowing down on this summer: Halo-halo from Ube Kitchen: The Filipino dessert contains deep purple, home-made ube ice cream, fresh fruit, toasted coconut flakes and diced dragon fruit in a bright pink dragon fruit bowl. Photograph: Smorgasburg/Kyle Huebbe Raclette sandwiches from Baked Cheese Haus: That gooey cheese scraped off a wheel that you’ve been seeing everywhere? It will be served on a toasted baguette in the market. A post shared by Traveling Foodie (@fattywithoutborders) on Dec 17, 2016 at 11:56am PST Juice from John’s Juice: The juice from oranges, grapefruits, watermelon and pineapples will be made inside the actual fruit, and given to you for on-the-go drinking directly from the source. 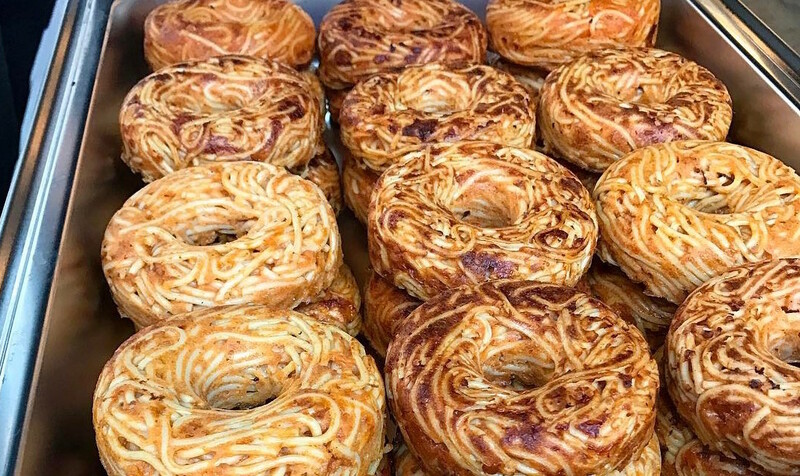 Photograph: Smorgasburg/Kyle Huebbe Spaghetti donuts from Pop Pasta: Will two of our favorites foods combine to make something even greater? Choose from flavors like red sauce, aglio and olio and carbonara. A post shared by Mike Chau (@mikejchau) on Mar 29, 2017 at 5:29pm PDT Churro ice cream sandwiches from Dulcinea Churros: Churros are given the brand-new shape of cookies, and stuffed with scoops of ice cream.